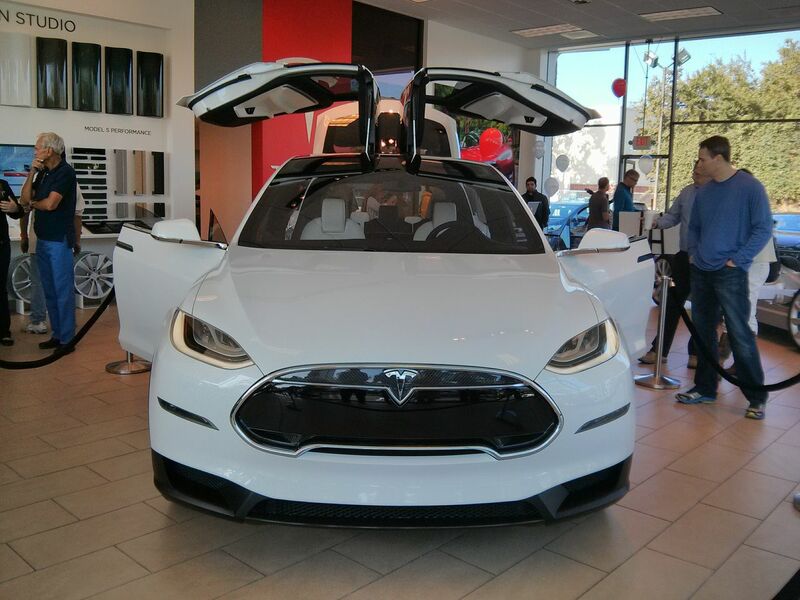 As predicted, Tesla did showcase its Model X SUV-Crossover at its Palo Alto Store today and it differed in a few ways from what we’d seen before. Perhaps most noticeably, the virtual side rear view windows which worked as cameras (pictured from Tesla’s web page, above) were replaced by Tesla Model S-lookalikes (below). That could indicate that Tesla isn’t going to get government clearance to do away with the side rear view mirrors. Or perhaps Tesla hasn’t yet gotten clearance and needed to put something legal on the road. The cameras were intended to reduce drag that would likely be lost with the added height of the Model X. Next, the steering wheel appears to have replaced the hardware buttons on the model S with iPod nano like 2-inch touch screens (these aren’t necessarily new, they have been in the Tesla Model X webpage for months). I have mixed emotions about this. The obvious advantage is that Tesla can change what’s on the screen giving them more UI control (especially good when global markets are considered). On the other hand, the steering wheel buttons are the one hardware button on the Model S that you can actually feel and navigate without your eyes, something that is key when driving a car. The big question: Can you really fit 7 adults in this thing comfortably? Tesla hasn’t changed the wheelbase nor the overall length of the vehicle so how do they make more room? 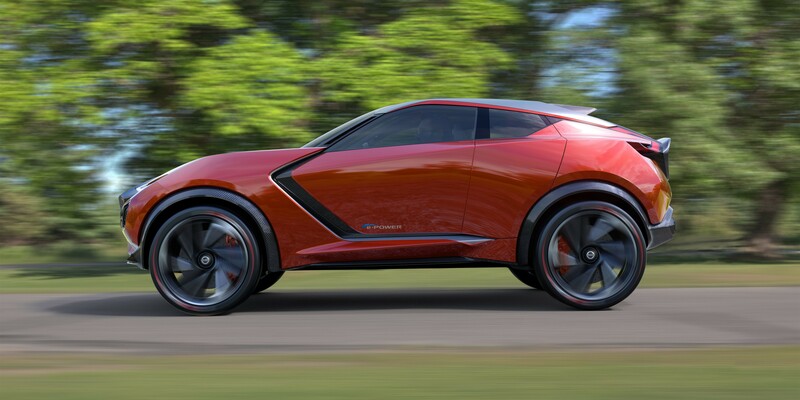 From the first glance, it appears that those back seats aren’t going to have a lot of legroom. For kids, this is fine, but saying that 7 normal sized adults can fit in this thing seems a little bit of a …stretch. I really like the ‘jump seat’ model in the Model S which puts 2 kids rear facing seats in the back while leaving plenty of legroom for the now middle compartment. 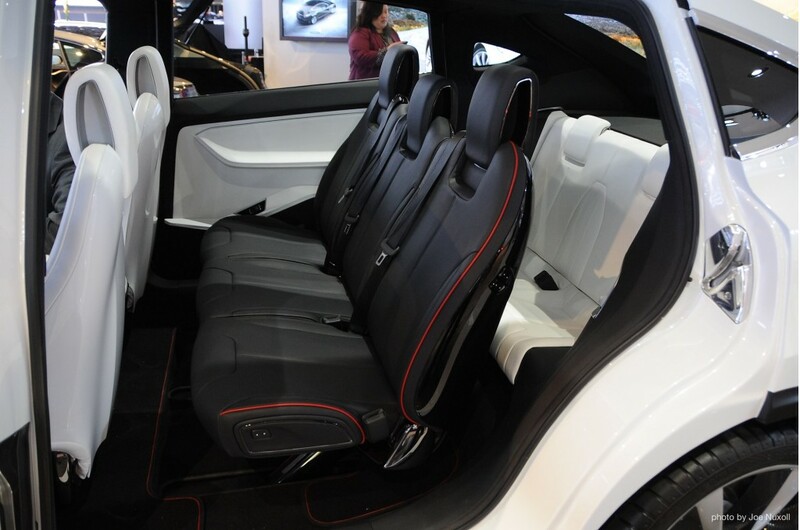 This model seems to compromise the middle compartment to give room for forward facing rear seats. 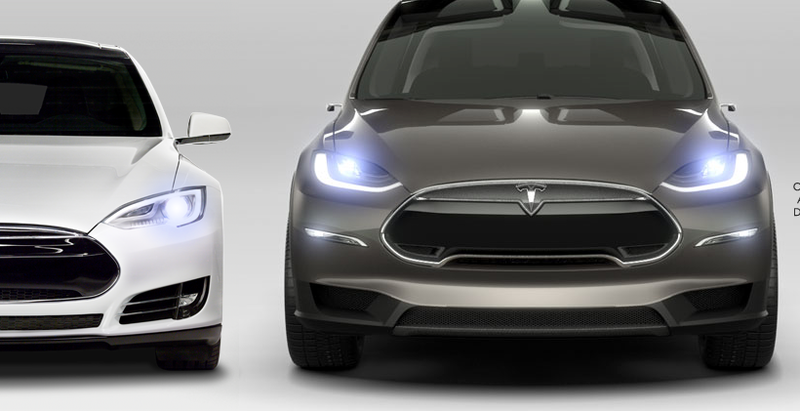 Finally, no one saw that mystery app icon (far right, below) on the Model X website did they? It looks like a download option but I’m still not sure what this is for.